A.R.Rahman's daughter, Khatija, has made her family proud thanks to her excellent performance in the 12th standard public exams. She has secured a cool 94 percent and has made her Oscar winning father, one happy man indeed. 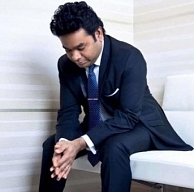 Rahman shared this happiness with his Twitter followers and said that this is the first time in his family that someone has scored such high marks. Congrats to Khatija for her sustained efforts. Maryan's 'Nenje Ezhu' Single Review ! Will Rajini Fans Get His Darshan On April 14th?